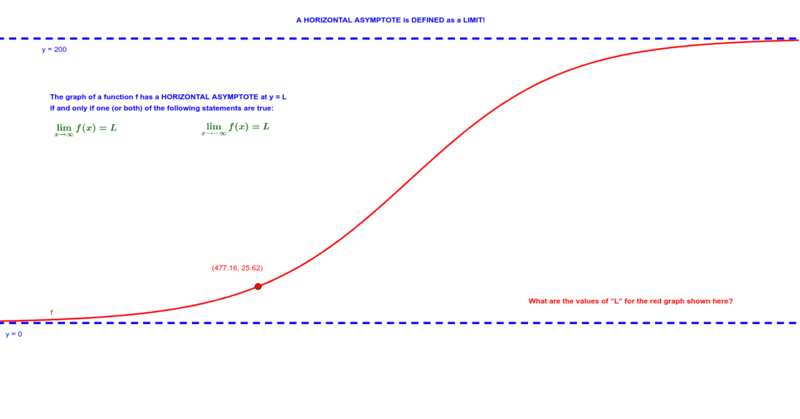 The following applet illustrates why graphs of certain functions have a HORIZONTAL ASYMPTOTE. Question: This graph does not cross either of its horizontal asymptotes. Yet there are some functions that can (and do) cross its horizontal asymptote. Can you author a function whose graph has a horizontal asymptote that gets crossed by the graph of the function itself at a certain point?